This is Us Season 3 spoilers say that viewers of the hit primetime television show are going to have to wait to see what happens to the Pearson family and all of their current drama until at least the beginning of next year. That’s because Season 3 Episode 10 isn’t expected to air until 2019. Here’s what we know so far. 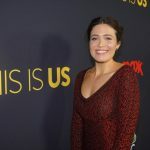 According to reports, NBC has been following a pattern in their primetime schedule for the last few years, which makes it easy to assume that the last This is Us episode of the year is expected to air during the first week of December. During Season 1 and Season 2 of This Is Us, the second half of the seasons didn’t return to the small screen until the first week of January. With that being said, it’s safe to say that fans will simply have to hold their breath again until after the holidays to find out what happens in the current stories of the hit show. Apparently, there’s a lot to look forward to as Zoe and Kevin’s romance will be further explored in the new year. This is Us writers are going to dive deeper into Zoe’s past as Kevin will learn much more about his new love interest in the coming months. Also, there has been This Is Us speculation that Beth would be written out of the series but according to her portrayer Susan Kelechi, that won’t be happening anytime soon. As a matter of fact, she says that there’s more to come from Beth and that fans will be quite surprised to see another side of her. This is Us airs Tuesdays at 9pm EST on the NBC network. Let us know what you think by dropping us a line with your thoughts in our comments section below. And as always, don’t forget to check back with Soap Opera Spy for all the latest news, updates and spoilers on This is Us Season 3 along with all of your favorite primetime television shows right here. And visit our dedicated This Is Us page for all the latest news, interviews and spoilers.